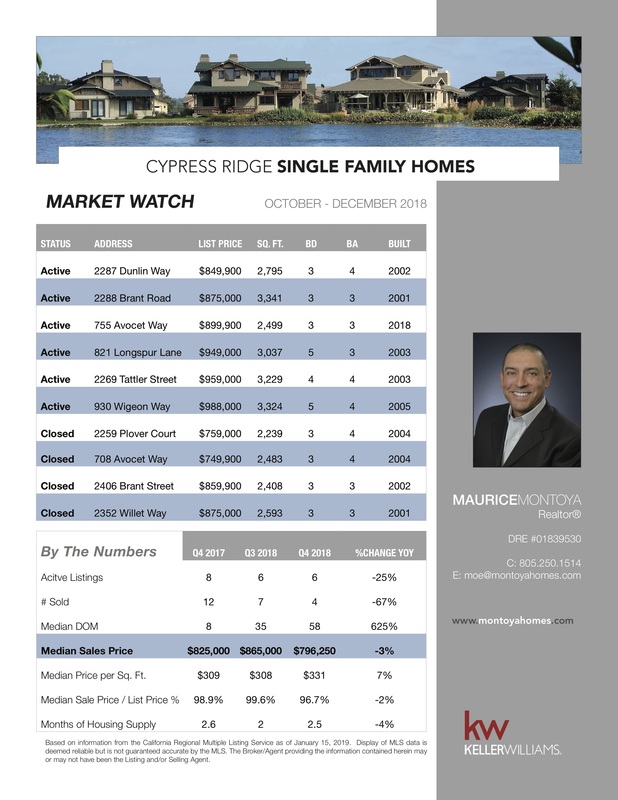 This printable Market Watch report for Cypress Ridge in Arroyo Grande, CA provides a list of active homes for sale and recently sold homes. Research your local real estate market while searching for comparable listings. This market watch report also shows quarterly median sales price, days on market, price per square foot and more market data. Buy or sell at Cypress Ridge with a Realtor® who knows the market. My goal is to make the process EASY.